Home Uncategorized Agnanti Cafe: Two Years Old Already! 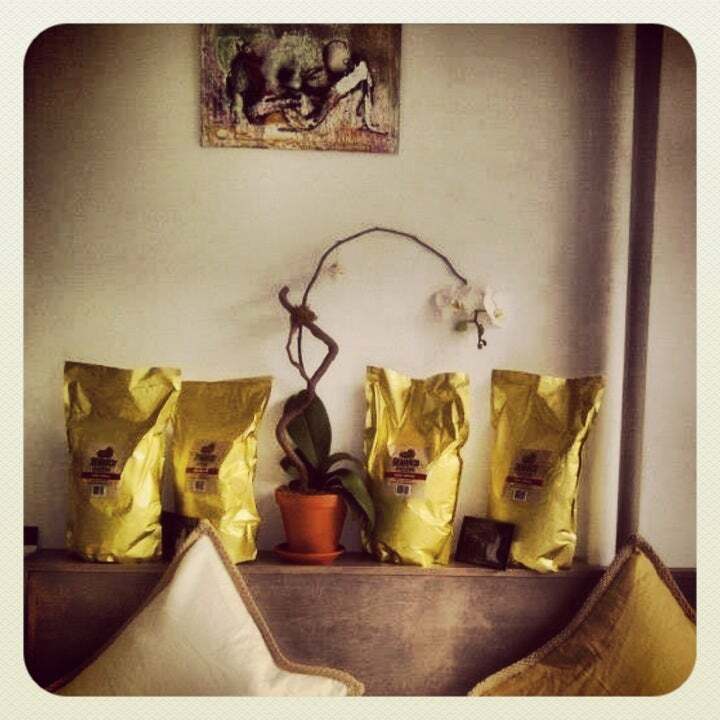 Agnanti Cafe: Two Years Old Already! This week’s Pick of the Week is Agnanti Cafe, who just celebrated their second birthday! We can all admit that one of best things about Agnanti Cafe is its location. Right near Astoria Park, it’s a great cafe to stop by and soak in the fresh air, especially during the summer. We love grabbing a coffee and going for a walk through Astoria Park – on days that we’re not rushing around! Another thing about Agnanti Cafe is that its really cozy. There’s a lot of coffee shops popping up in Astoria, and they all seem to occupy their own niche, and have their own vibe. The vibe at Agnanti Cafe is very laid-back and … dare we say it…hipster? Just a little. But it’s not pretentious – it’s extremely welcoming. If you’re going to stop by Agnanti Cafe, go in the morning. Grab a coffee and a seat by the window, and you’ll see why we love it so much. There’a a sort of charm it has – something that is New York-y, but at the same time very slow paced and comforting. Now, the food and drinks. The menu is limited – but we think that adds in to the charm of the place. They keep it simple, and they keep it good. 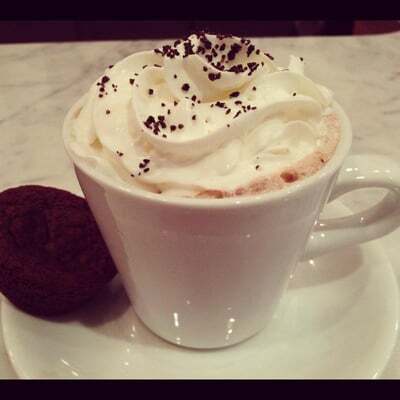 At Agnanti Cafe, you can’t go wrong with coffee. We’re partial to their cappucinos..but then again, we love cappucinos in general. They also make a killer Americano, and their iced coffee is great as well. In the winter we love their hot chocolate. 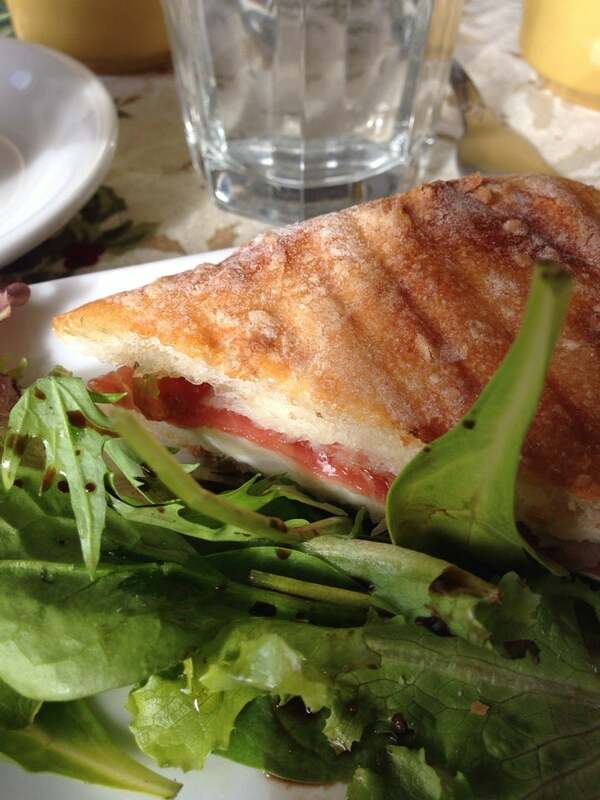 There are fresh panini sandwiches, and if you’re in the mood for lunch, they’re definitely worth a shot. If you like fish, you have to order the smoked salman panini, its easily one of our favorite paninis in Astoria. We also absolutely love the spinach pie, and it’s one of our top recommendations at the cafe. The prices here are reasonable, and when we’re in the mood for some quiet relaxation, Agnanti is one of our top picks. We’re big fans, and so glad they’ve stuck around – we can’t wait to see what the next few years brings for the cafe. Previous articlePatricia Bagby: It’s Never Too Late to Explore the Arts!